His Holiness Pope Francis today named Father Jon Hansen, C.Ss.R., bishop of the Diocese of Mackenzie–Fort Smith, Northwest Territories, Canada. At the time of his appointment he was pastor of Our Lady of Victory Parish in Inuvik, Northwest Territories. Bishop-elect Hansen succeeds Bishop Mark A. Hagemoen, who was appointed Bishop of Saskatoon on September 12, 2017. Bishop-elect Jon Hansen was born in 1967 in Edmonton and raised in Grande Prairie, Alberta. After high school he attended the Northern Alberta Institute of Technology and completed a diploma in building construction engineering. Returning for further studies, he completed a bachelor of arts degree at the University of Alberta. At the same time he joined the Congregation of the Most Holy Redeemer (the Redemptorists), professing religious vows in 1998. He then studied at the University of St. Michael’s College, Toronto, where he graduated with a master’s of divinity in 2003. After a diaconal appointment in Sudbury in 2004, he was ordained to the priesthood in Grande Prairie by the Most Reverend Arthé Guimond, then archbishop of Grouard-McLennan, Alberta, Canada. Bishop-elect Hansen has served as associate pastor in Redemptorist parishes in St. John’s, Newfoundland, and Labrador, and in Toronto, where he directed Out of the Cold, a program that provides food and shelter to homeless people in the inner city. In 2007 he became director of formation for Redemptorist students. In 2009 he was appointed pastor of St. Mary’s Parish in Saskatoon, where he served for six years. During that time he served on the Truth and Reconciliation Commission of the Diocese of Saskatoon and the Bishop’s Council of Priests and also worked closely with the Diocesan Office of Migration and the Diocesan Office of Justice and Peace. 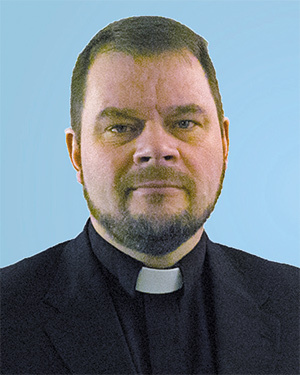 In 2015 he was appointed pastor of Our Lady of Victory parish in Inuvik with responsibility for the missions of Tsiigehtchic, Tuktoyaktuk, and Paulatuk. The Diocese of Mackenzie–Fort Smith has 32 parishes and missions, with a Catholic population of 20,110 served by three diocesan priests, four order priests, five religious sisters, and 18 lay pastoral workers. In a letter to his Redemptorist confreres, the bishop-elect wrote, “The decision to say yes to this appointment is one which I looked at very seriously, with the knowledge that it would change my life in many ways. The date of Father Hansen’s ordination as a bishop has not yet been set.